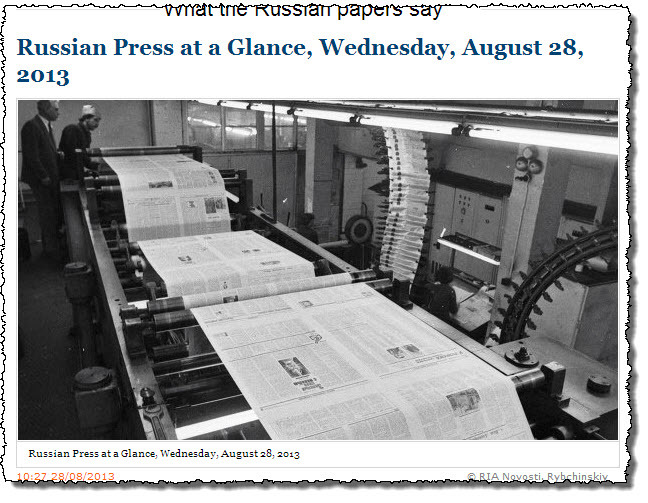 What Russians read and what international press is telling their readers about Russia today, Wednesday August 28 2013. Today's main news on both sides of the border, are about the situation in Syria. 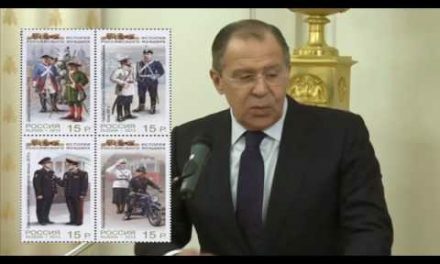 Again having the advantage to access both the information coming from the Russian/Syrian side and the (dis)information as presented by the “western” media. 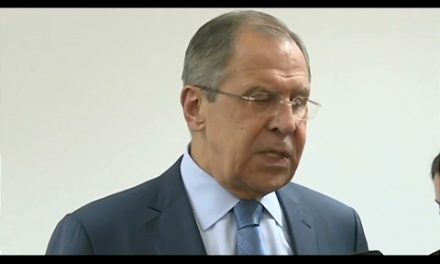 It is hard to understand the logic in the American sureness about who is guilty of the use of chemicals weapons without any other proof than hearsay and unverified images to back their statements up. Yesterday I asked the question why Syria is that important for the USA and their European allies. Could the risk of a cooperation between Assad's Syria and Iran bringing Iranian oil to the Mediterranean in a pipeline through Syria be one of the reasons? Today's overlap of topics in Russian press and the international is 2 (Syria and Belorussia/Uralkalki) of 16 Russian topics. 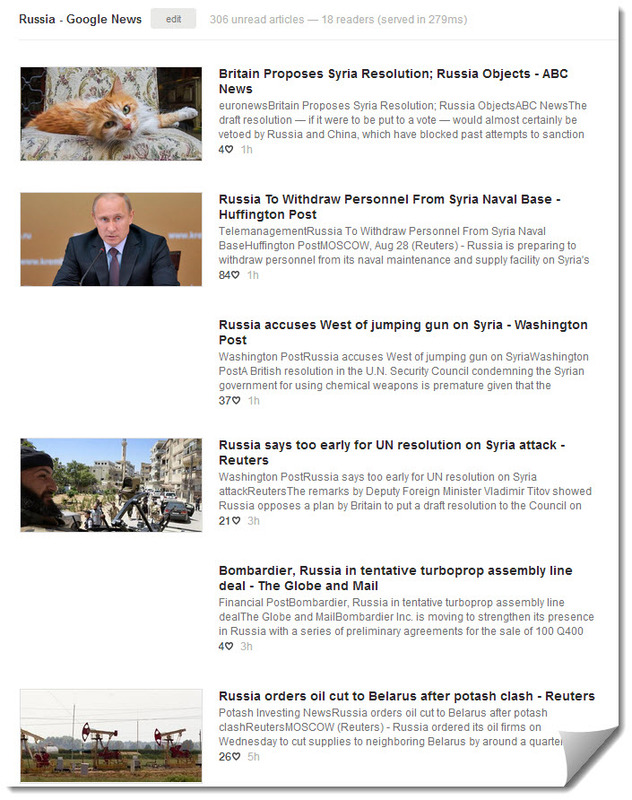 Here are the Russian headlines. As before, with courtesy of RIA Novosti.